Giving back to your town is a truly rewarding experience. It doesn’t only help the community, but it also develops your skills, gives you valuable experience and is a brilliant opportunity to meet new people. Though it is the most well-known way of giving back to your community, working alongside a local charity can be very worthwhile. 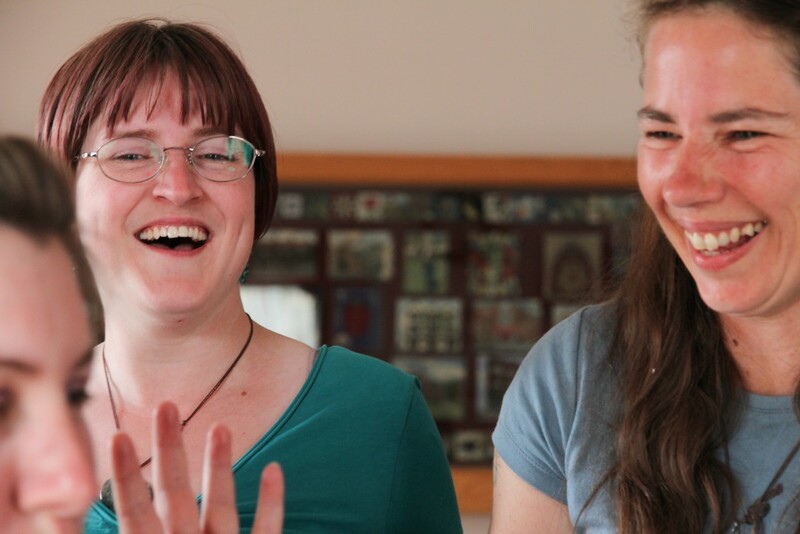 Local charities like Openstorytellers, Fair Frome and Positive Action on Cancer are always more than happy to welcome another pair of hands to help out. Alternatively, if you don’t have the time to volunteer, you can choose to donate instead. For a list of all charities in Frome and the surrounding area, head over to the Frome Community directory and get stuck in! Contributing towards an event within the local area doesn’t just give you or your business publicity. 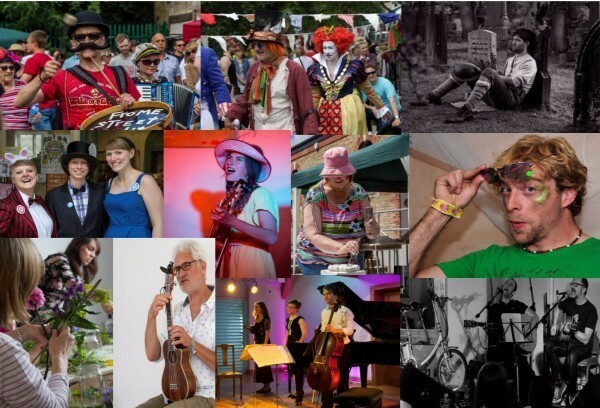 We must admit it’s a very persuasive benefit, but providing funding or your services to a festival or get-together can really give the organisers the much-needed support they may often need. 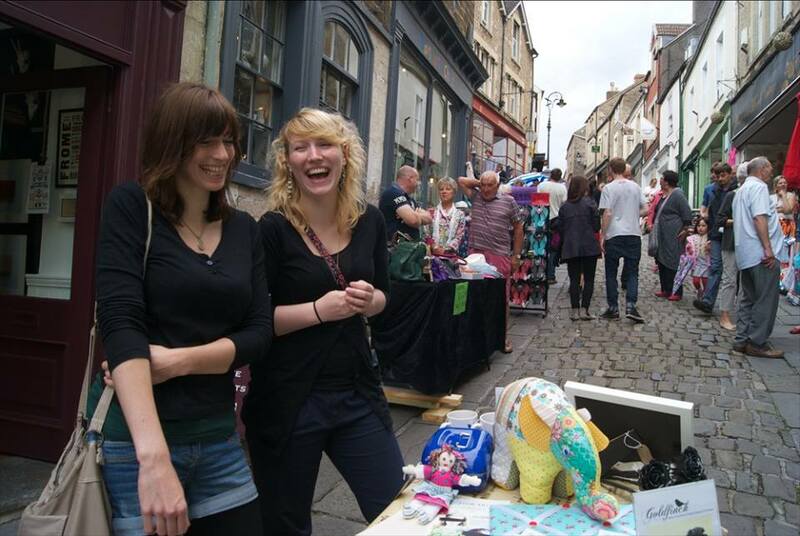 One notable example is the Frome Festival, which depends on the sponsorship of local businesses to enable many of the activities to go ahead. You can find more examples of local events you can get involved with over on our What’s On page. 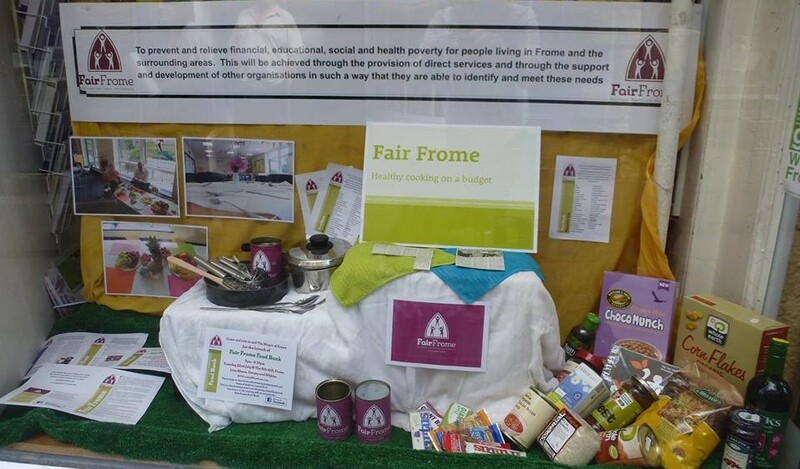 Frome just so happens to be home to the UK’s first share shop, a brand new initiative that was started up by a group of young people from Edventure with the help of Frome Town Council, Sustainable Frome and the Cheese and Grain. The shop works on the premise of borrowing – allowing members to use items kindly donated by local people for a small donation. The SHARE shop also allows locals to provide workshops to the community. If you have time to share your skills with others or have any barely used equipment lying around your home that you could donate, get in touch with SHARE – A Library of Things for a chat. Sometimes challenging times can strike the people you least expect. A relatively new charity is now providing support for people who are finding it hard to afford the basics, providing grocery top-ups and other initiatives to those who need it most. In order to keep doing this, Fair Frome needs your help. Whether it’s donating canned foods and toiletries to the food bank or volunteering your time to help the charity run its day-to-day work, your generosity would be greatly appreciated. This is a really simple way to give back to your community. If you enjoyed a pleasant shopping experience in town or heard good things about a Frome business, then spread the word! Whether it’s online, through social media or just word of mouth, you are boosting the profile of our independent businesses and making sure they will get the custom they deserve. Perhaps the easiest way to do this is through Facebook. If a local business has a Facebook page, make sure to leave them a good star rating on the reviews section. So if you have a favourite place to get a haircut or grab lunch, make sure to let everyone know! The best way to give back to your community if you are a sports fanatic is to sponsor one of the local sports clubs. In Frome, we are lucky to have so many youth clubs that develop children’s skills in sports like football, canoeing, rugby and tennis. You can take a look at all the sporting activities available in Frome over on the Frome Active website. 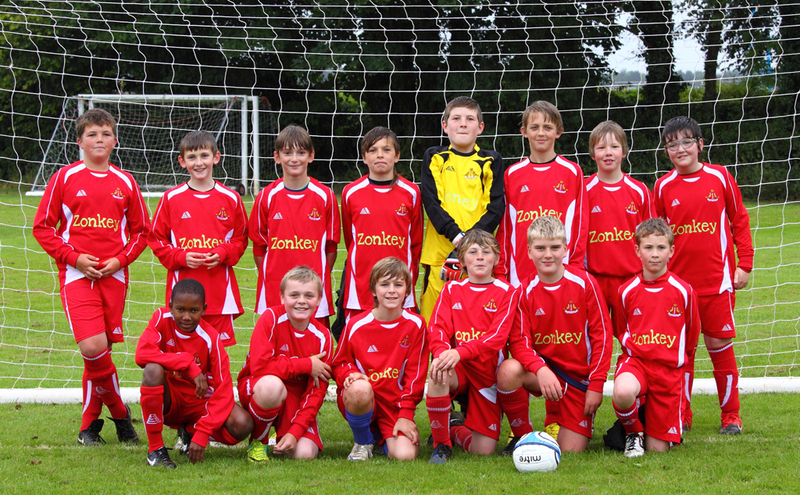 If you’re looking to be a bit more ambitious with your sponsorship, you could always look towards supporting Frome Town FC and other larger sporting clubs in and around the town. Whether you enjoy gardening or just have a love of the outdoors, volunteering to work as a town ranger could be the perfect way to give back to your community. Town rangers assemble once a week to look after Frome’s open spaces by using traditional methods such as mowing, scything and hedge-laying. It’s a fantastic opportunity to learn new skills and make new friends. If you’re interesting in volunteering, you can find out more information over on the Frome Town Council website.